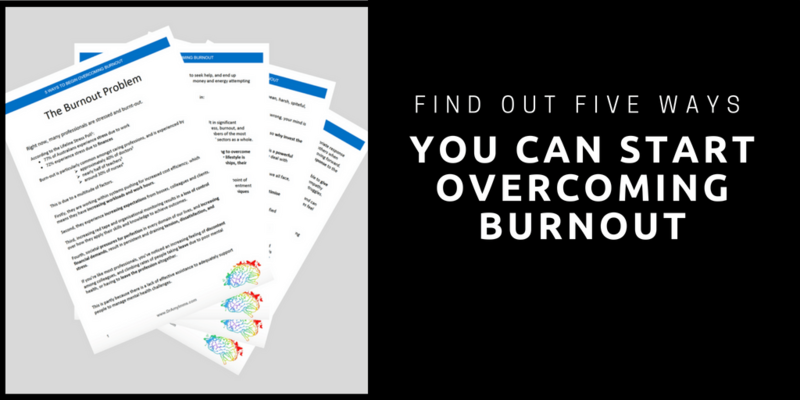 If you have recognised that you’re burnt-out and want to do something about it, this document gives you five ways that you can get started on your journey. You have taken the first big step forward by acknowledging the problem. The challenge, now, is navigating your way in an effective and efficient manner. I don’t want you spending your depleted energy levels trying hundreds of futile and ineffective strategies, and still seeing nothing improve. In this document, I give you the information you need to move you forward in the right direction. Your journey to recovery will take time and support. If you want professional support and guidance to assist in your burnout recovery, I also share with you how I can help you with this.